No sitter? No sweat! 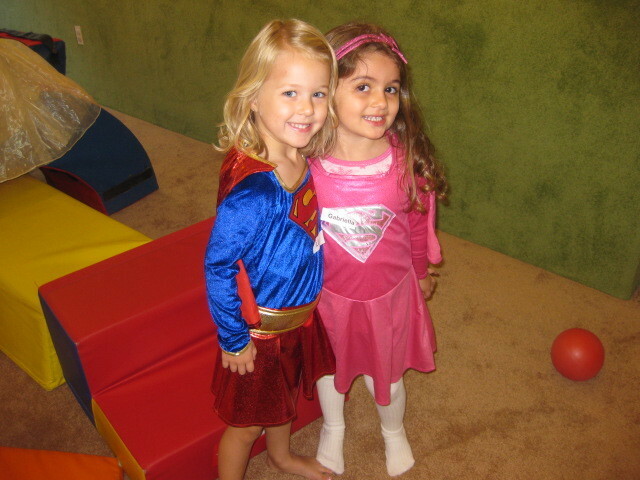 New York Kids Club offers amazing pajama parties for your little ones so you can enjoy date night in style. 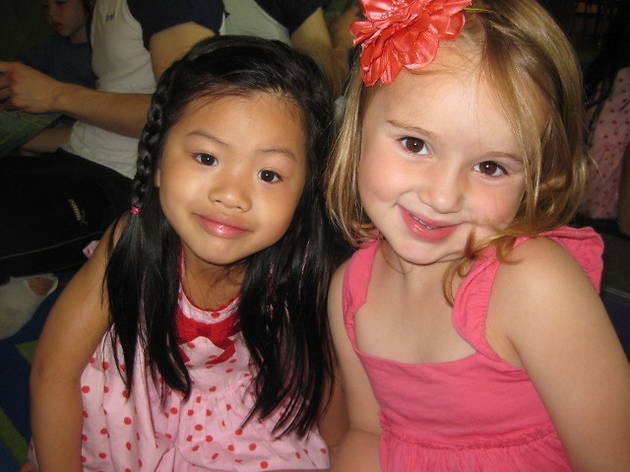 With thirteen locations (W 89th/91st St, W 68th St, E 22nd St, E 67th St, Brooklyn Heights, Battery Park, Park Slope, Tribeca, Williamsburg and Long Island City to name a few), New York Kids Club is more than just a favorite family hotspot for classes, parties and camps—it's also an exciting place to bring the kids when you simply just need a fun night out on the town. 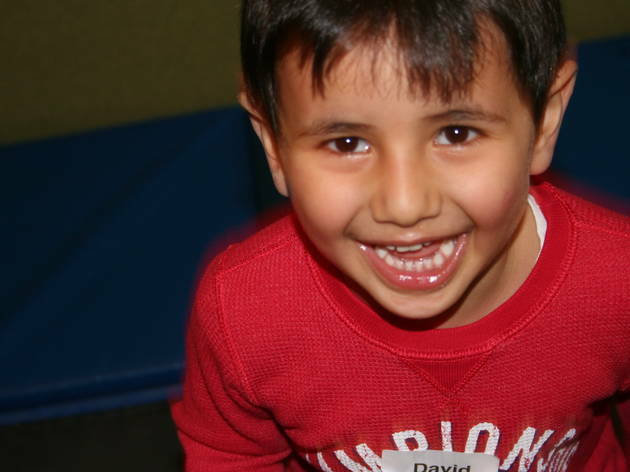 New York Kids Club offers pajama parties for kids during prime date night times at all locations (see website for details) on Fridays and Saturdays! This means you can enjoy some "me" time while little ones ages 2 1/2 to 8 partake in exciting pajama party themes like "Join the Circus" (complete with a mini strong man competition and tightrope walk) or "Everest Expedition" (where they'll relay race from Tibet to Nepal and visit New York Kids Club base camp). 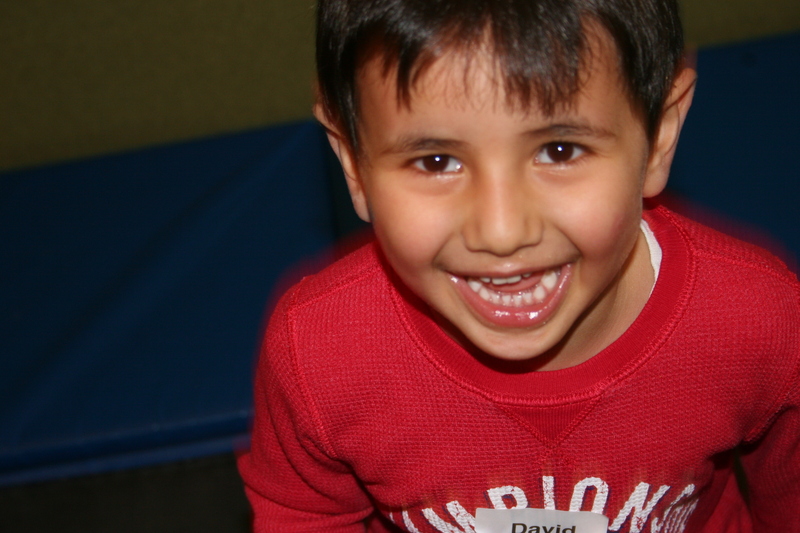 Even better, anyone can sign up online, and every pajama party includes dinner (so the kiddos are fed) and dancing (so they're ready for bed by the time they get home). See below for five cool upcoming pajama parties at New York Kids Club (and five equally awesome date night suggestions nearby that you can squeeze in during pajama party hours) over the next two months. Journey around the globe (without leaving New York Kids Club) in just two hours! Kiddos will learn martial arts in China, travel to India to learn Bollywood dance and nom on delicious cuisine in Italy. 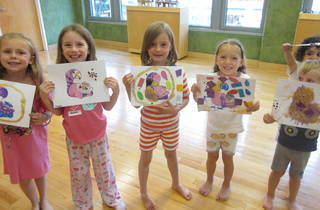 They'll even get to make a cool craft: Chinese dragons to build, decorate and take home. 601 Amsterdam Ave (212-721-4400, nykidsclub.com). $36. Celebrate two kid-free hours with a delicious seafood dinner at the nearby Mermaid Inn. Try fish tacos, their famous lobster roll and apps like their seared calamari salad, and be sure to grab a cocktail from their creative cocktail list (think drinks like The Jinx with jalepeno-infused Tequila or The Big Dill with vodka, pickle brine and mustard seed)—we dare you! 570 Amsterdam Ave (212-799-7400, themermaidinn.com). City-loving kiddos will jump for joy when they hear they'll attend an "I Heart NYC"–themed PJ party. 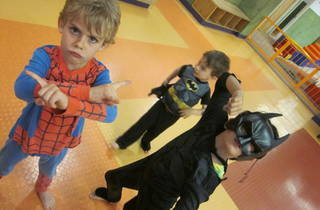 Little ones will enjoy a "tour" through the five boroughs as they "run" the New York City Marathon to see the sights. Count on an imaginary visit to the Bronx Zoo and high kicks with the Rockettes! 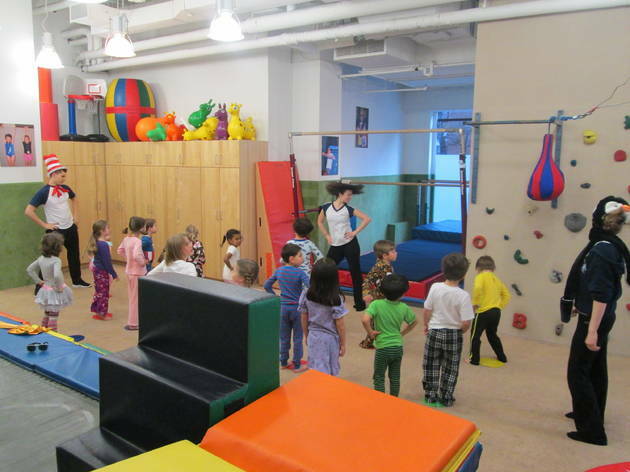 38 E 22nd St (212-375-1100, nykidsclub.com). $36. Only four minutes away, Eataly is an awesome option for couples who love amazing fresh Italian food. This massive food and drink complex has six full-service restaurants (and all the homemade pasta you can dream of). 200 5th Ave (212-229-2560, eataly.com). 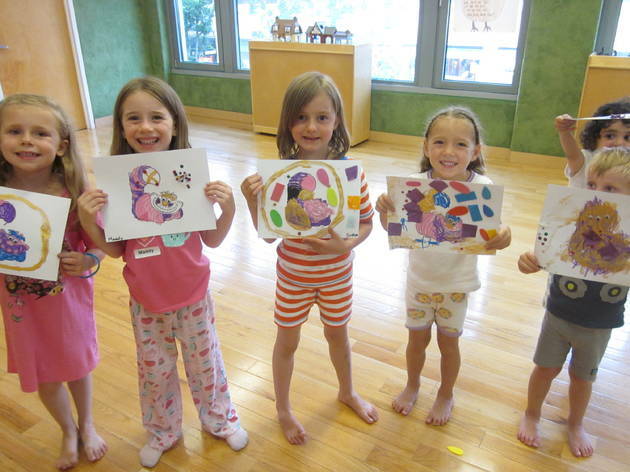 Join New York Kids Club on the West Side for their "Animal Planet"–themed PJ party! Little animal-lovers will dig the opportunity to channel their four-legged friends as they roll like pigs, hop like frogs and flap their wings like chickens, plus they'll create turtle puppets and enjoy a dance party in the Animal Kingdom forest. 169 Amsterdam Ave (212-721-4100, nykidsclub.com). $36. Walk just five short blocks to Sushi Yasaka for delicious Japanese food in a laid-back atmosphere. Grab a sushi entree (or sushi a-la-carte), some of Yasaka's signature maki and tasty appetizers like Sakura Shumai and Toro Tartare. 251 W 72nd St (212-496-8460, sushiyasaka.com). Join New York Kids Club for a "Space Kids" PJ party—your little ones will think it's out of this world! 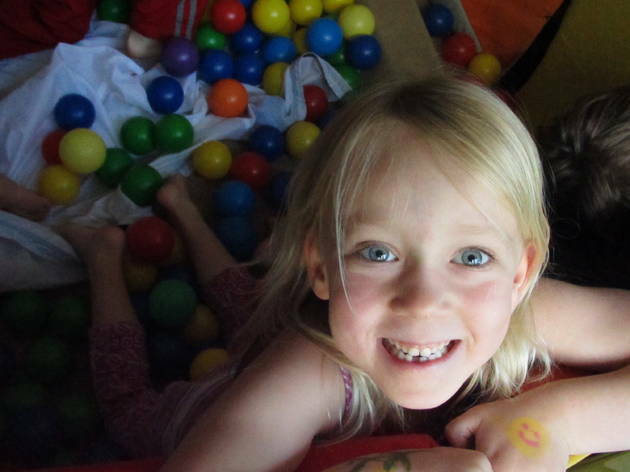 They'll join together to create their own planets, play hide and seek with aliens (eek!) and visit the International Space Station for an epic robot dance party. 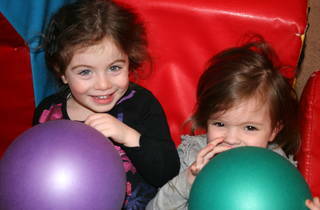 219 E 67th St (212-991-6700, nykidsclub.com). $36. Yum! Delicious Mediterranean options are right around the corner from New York Kids Club’s 67th St location. Head to Fig & Olive to scarf delicious treats like Rivera Salmon ($26) with grilled asparagus and braised fennel or Fig & Olive Tajine ($26), a spiced chicken served with olive, carrot, onion, cherry tomato, artichoke and other delicious veggies for a delicious night out on the town. 808 Lexington Ave (212-207-4555, figandolive.com). Join Alice on a magical adventure in Wonderland! 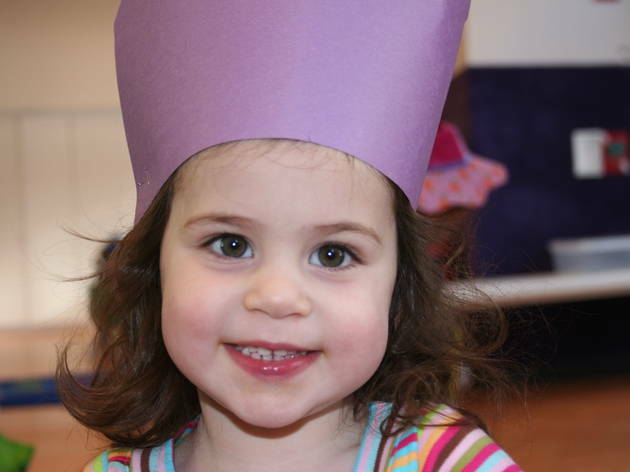 PJ-clad kiddos will meet their favorite storybook characters (like the White Rabbit and Queen of Hearts), then create their own teacups just in time for a wacky tea party dinner of delicious snacks (pizza, milk and cookies). 125 5th Ave, Brooklyn (718-857-0700, nykidsclub.com). $36. Spend date night at Threes Brewing, known both for its impressive lineup of craft beer and its cool rotating pop-up menus from local vendors like Roberta’s and Meat Hook. There are two rooms (one for the brewery and one for sit-down meals) so you can enjoy whichever ambiance you prefer. 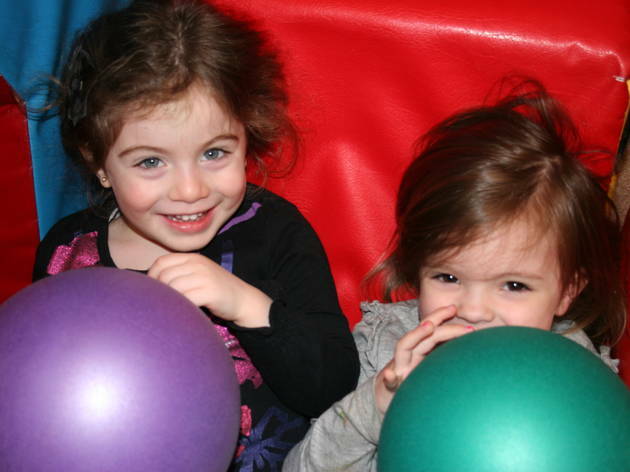 Did we mention Threes is just two minutes away from New York Kids Club Park Slope? 333 Douglass St, Brooklyn (718-522-2110, threesbrewing.com). "Our 4 year old daughter loves PJ parties. She feels like she's having a night out for her own fun and always comes home so happy." —Amy K.
"LOVE these events. Ronnie thinks they are the best. He looks forward for several days in advance to attending a PJ party. He will nap only on Fridays in exchange for going to a PJ party. It's also wonderful babysitting, my husband and I love the chance to grab dinner together and not feel any guilt as Ronnie is having so much fun." 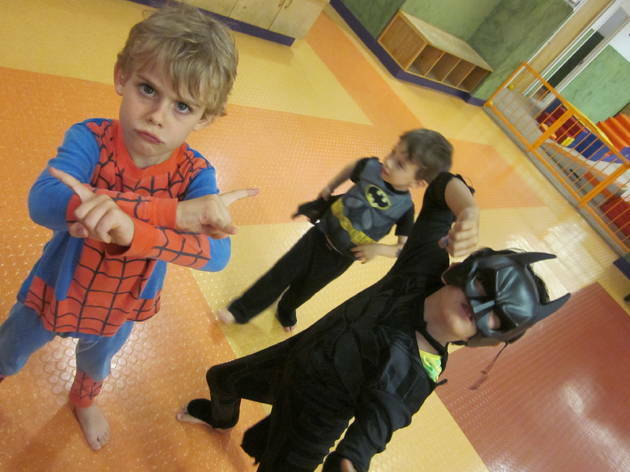 —Nicole K.
"When Friday comes our whole family says TGIF because of the NY Kids Club PJ Parties! My husband and I get a break to have time to ourselves and we know that the kids are in the best of hands with your staff, having the time of their lives. The kids ask every morning if it is a PJ Party day. 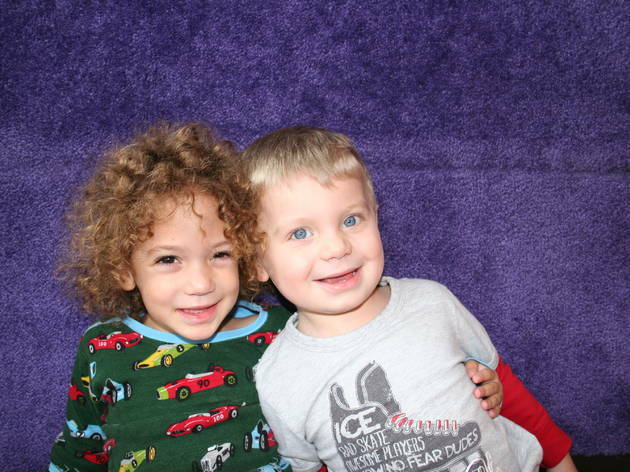 The PJ Parties allow them to have some independence in a relaxed, social, and warm setting with their neighborhood buddies and beloved coaches. It definitely fosters a nice sense of community among the parents as well, for those of us whose kids take advantage of the parties. 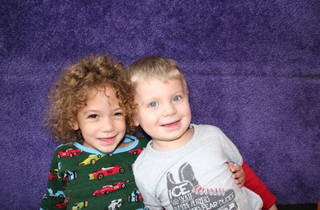 My kids look forward to going back every week to see their friends, and make new ones. 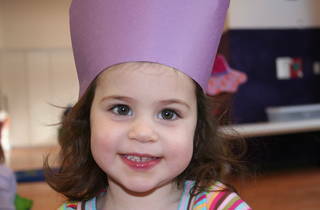 At 8pm the kids greet us with HUGE SMILES, a cute craft and lots of stories from their night. The PJ Parties are the perfect way to kick off a fun weekend! Thank you for continuing to provide this fantastic event!" —Mairen L.